Raaga.com: MELODIES ALL THE WAY! With over 5000 songs to her credit, Sujatha Mohan is one singer which is almost everyone’s favourite. This sweet-voiced lady has explored her talent in almost 5 languages, but is most sought after for the Tamil and the Malayalam industry. Thanks to A.R.Rahman, she was given a chance to sing ‘Pudhu vellai mazhai’ in the movie Roja in the year 1992. This we can say is one of the songs that took her to a peak in her career. Following this was the song ‘Naetru Ilaatha Maatram enadhu’ from the movie Pudhiya Mugam that hit the top charts. ‘Freshness’ in her voice what was liked by many of the music directors. We can say the A.R.Rahman and Sujatha combo has been brilliant and has brought out some wonderful music. ‘Enveetu thotathil’ from Gentleman, ‘ Kattirika Katthirika’ from Duet , ‘Malarodu Malaringu’ from Bombay, ‘Ini Acham acham illai’ from Indira, ‘Thillana Thillana’ from Muthu were the first few hits that set their musical chemistry on a high.Other melodious numbers by Sujatha are ‘Garuda Garuda’ for the movie for Natpukaaga , ‘Athisayam’ in the movie jeans, infact the melodies sung by here are not countable. 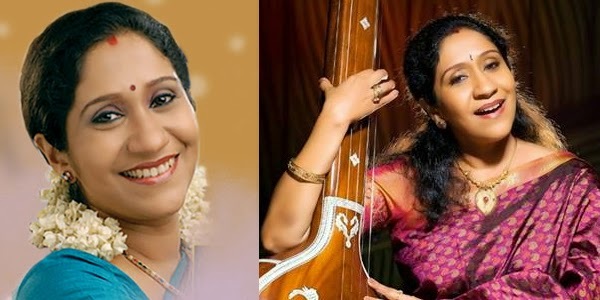 SujathaMohan is one of the judges for the popular music show – Airtel Super singer and encourages many upcoming singers. She is also the recipient of prestigious awards for her wonderful renditions in Minsara kanavu (Poo pookum osai) etc. A gifted singer that she is, Sujatha Mohan has also added her daughter, another wonderful talent to the music fraternity (Shwetha Mohan). As a lead playback singer, it is amazing to note that Sujatha’s voice suits almost all the heroines. SujathaMohan has also taken up the responsibility of spreading the joy of ‘music’ in her own ways. We wish the singer more success in the coming years.